Once again, Justwalking has found a relevant formula, computed for one sensor, then stated an opinion without ever bothering to compute for the other sensor. Apparently he has missed the concept that to use the math, you have to actually do the math. Let us do the math for the FF sensor, as Justwalking did only for the 5.5 crop sensor. At same MP, the FF pixels are 5.5 times larger, so 5.5 * 1.4 = 7.7 microns pixel spacing. By normankoren's formula, NR=N = 3.2 * 7.7 = f/24.6, so the FF aperture should be set at f/17 or larger. Then note that f/17 on FF is just 5.5 times larger than f/3.2 on crop 5.5 . 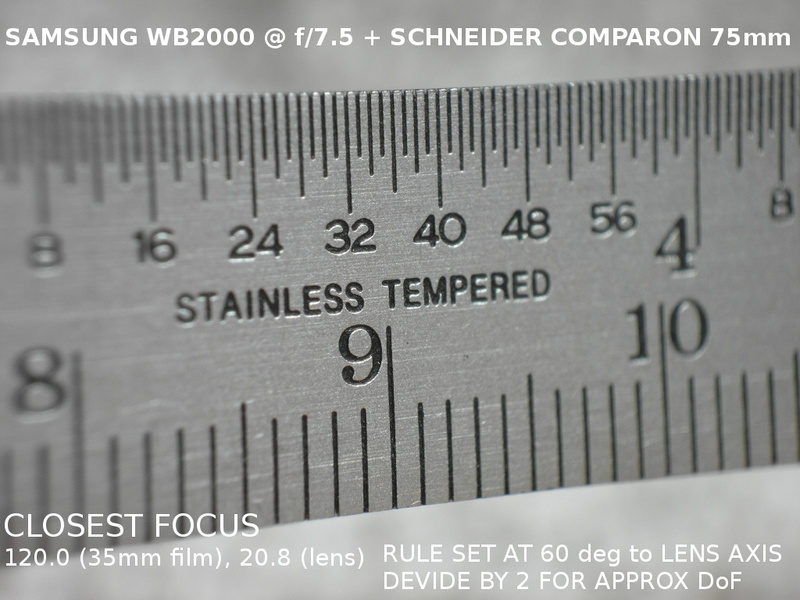 So, normankoren's formula recommends an aperture that is scaled exactly in proportion to the sensor size. As we all agree now, that condition is exactly what's needed to make the DOF be the same. In other words, normankoren's rule for optimal aperture on each sensor, also gives the same DOF on both sensors. Exactly as shown in my image pair at m=0.68 and f/8.5 on crop 5.5, versus m=3.74 and f/47 on FF. And as predicted by diffraction math, and as predicted by normankoren's formula. Theory and experiment agree completely. 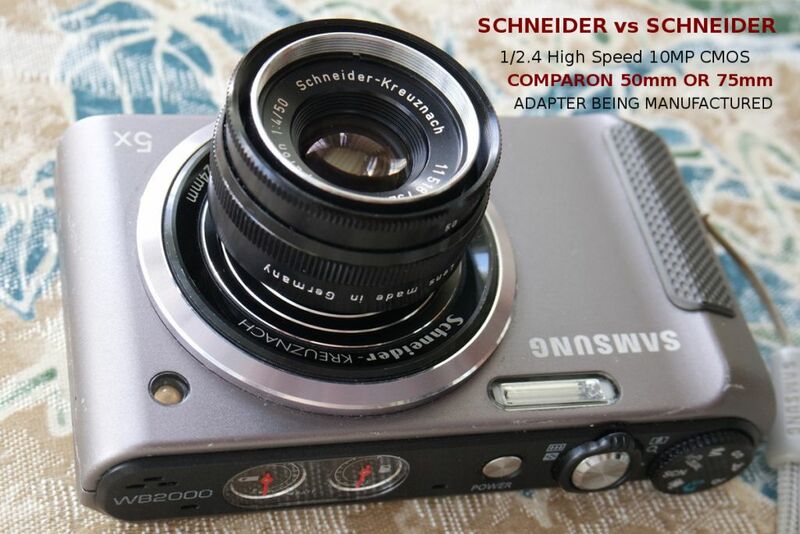 At same FOV, same MP, and same rule for optimal aperture, the small sensor image and the large sensor image look the same. Nope. The normankoren's rule is for optimal quality (when extreme depth of field is not required) not for the same Dof for both sensors. For FF my "small" DoF optimal for the quality is "extreme" DoF. F'/26 is not the "sweet spot" per FF compared with crop at F'/4. You was trying to compare 8MP crop vs resized 36 MP FF and you even won't take same big Dof as mine 0.8X with your 1/2.5" sensor at less magnification. That's why I followed normankoren's rule, exactly as written. Then I pointed out that applying the rule exactly as written also happens to give the same DOF on both sensors. Let me repeat that. 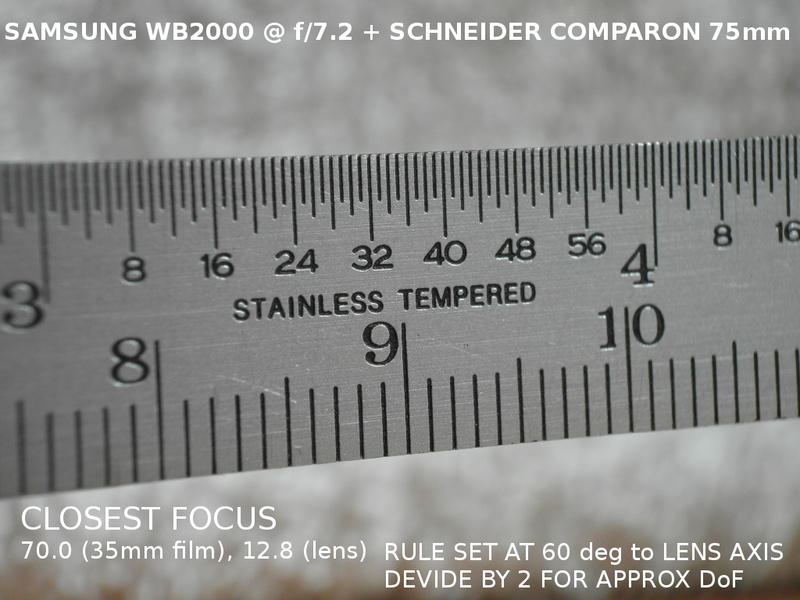 The rule was written to determine optimum aperture on each sensor, but it also happens to give same DOF on both sensors. Same DOF falls out of the optimality condition, even though same DOF certainly was not an input for determining that condition. My normankoren computation was for same MP on both sensors. 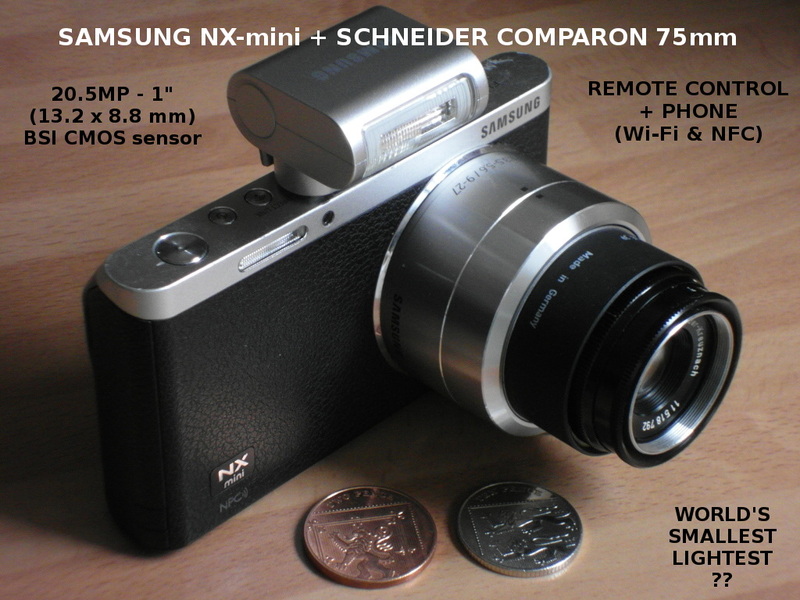 The displayed images were for 7 MP small sensor versus 7 MP resized from FF. Sadly, I don't have a small sensor and FF sensor with same native MP, so resizing is the only way to do a same MP comparison. Switching subjects, and putting on my moderator hat, I think you are missing an opportunity here at photomacrography.net. So far, you've basically been trying to argue that your pictures are excellent because of the equipment that you're using. 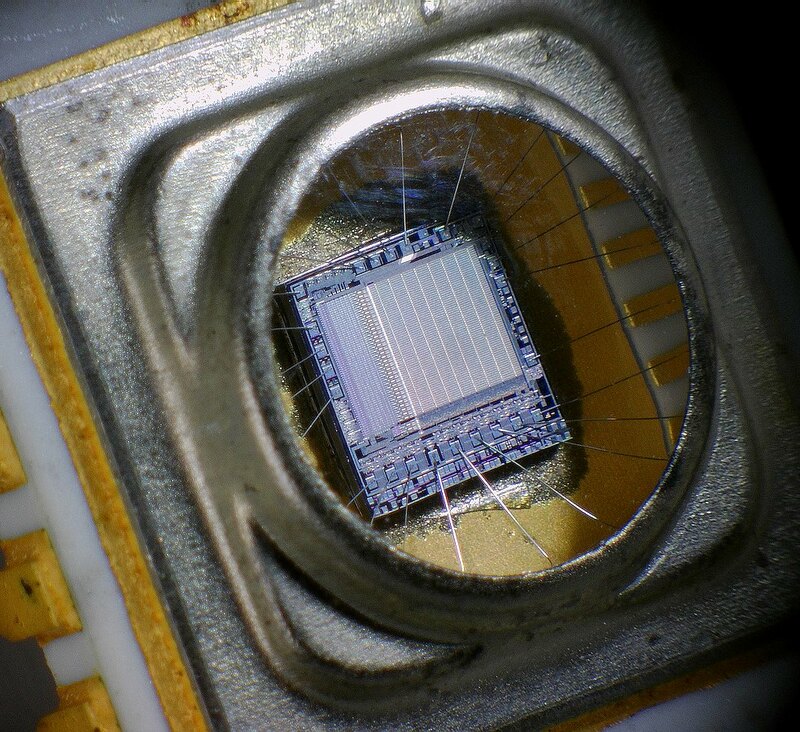 That requires arguing that small sensors have some intrinsic advantage over large sensors regarding the DOF/diffraction tradeoff, and sorry, they just don't. The math of DOF and diffraction is quite clear on that point, as are head-to-head controlled tests. So in this forum, surrounded by people who have no trouble following the discussion, your current approach has no chance of working. On the other hand, I think there is no debate that your images are excellent, independent of the equipment that you're using. I have reviewed your work at https://www.coincommunity.com/forum/topic.asp?TOPIC_ID=280117, and I can easily see why Ray Parkhurst was motivated to invite you to post here at photomacrography.net . Your images of the Washington state quarter and your ball point pen are beautifully illuminated and are very sharp. So, if you really want to make a positive contribution here at photomacrography.net, the best way for you to proceed is to stop praising your equipment and instead, take personal credit for the excellent appearance of your images. Tell us how you control the lighting, and tell us the details of how you resize and sharpen for web presentation. These are things that would be valuable for us to learn. I personally would also be very interested to hear more about your combination of "MORITEX industrial 0.8X HR lens with El-Nikkor in pair". From the coin image, it appears that you've managed to reduce the nominal 0.8X magnification to some much smaller value, and whatever technique you've used to do that could be helpful to other people also. Than your computation is not correlate to your pics wich you tried to compare. 7 MP resized fron 36MP means you have resized diffraction blur also and your pitch size is not the same as on 7MP FF sesor so this comparision is incorrect. That requires arguing that small sensors have some intrinsic advantage over large sensors regarding the DOF/diffraction tradeoff, and sorry, they just don't. Washington state quarter[/url] and your ball point pen are beautifully illuminated and are very sharp. Whithout understanding why they looks beautifully illuminated and are very sharp without stacking and why i need only 1-2 watts LED for ligtning of the object it is not any benefit for others. Looks that nobody here have used small sensors prefer consumer FF camera instead, so my experience can't be helpful. You just can think that all is easy available regardless of sensor size. Once again, your flawed intuition and lack of experience has led you to an incorrect conclusion. What determines how an image looks depends on the size of the diffraction blur compared to the subject area shown. That ratio is not affected by resampling to a different pixel count. An equivalent interpretation is that the pitch of pixels in the FF image resampled to 7 MP is exactly the same as if the sensor had been physically 7 MP to start with. A moment of serious consideration, or evaluating the simple formula that pitch = sqrt(area/MP), should be enough to see this. Looks that nobody here have used small sensors prefer consumer FF camera instead, so my experience can't be helpful. We would be very happy to hear about your experience with small sensor cameras. But we definitely are not interested in continuing to hear scrambled theories about why a small sensor works well for you. If you are not able to separate those two very different aspects, then I agree that photomacrography.net is not a good fit for you. If the math looks just scrambled theory here then my experience can help only for more advanced knowledge. You work for Olympus now? I hope you're not an engineer? Or what does that link is supposed to prove? My first post is intended to give further examples at the small and cheap end. I am much encouraged by that Russian who specializes in Snowflakes using a point and shoot with a reversed Russian lens taped to a plank of wood. He exhibits ART in NYC! Whilst I may not fully understand the maths in the spat I found the diagrams most interesting and informative. People starting out may want to drag out the old point and shoot whilst others may not like the bulk of some rigs. 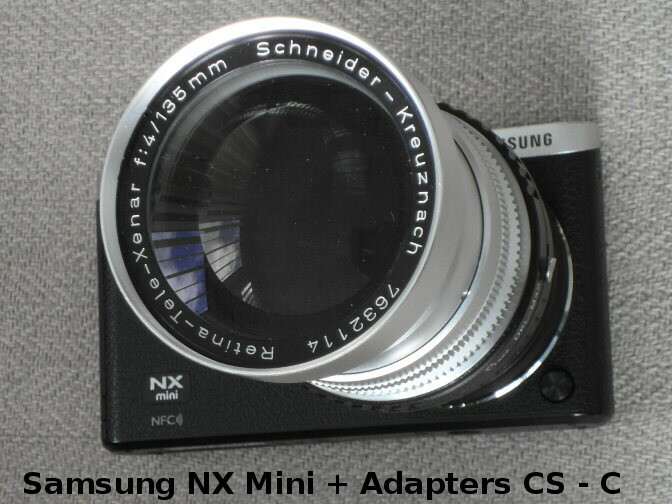 I am having some difficulty with the SEARCH finding examples of NX-mini rigs - is there anyone out there using 1” sensor or less? I am having adapters manufactured hence all pics taken without additional lens fixed, indeed lens resting on a couple of coins on the kitchen worktop!